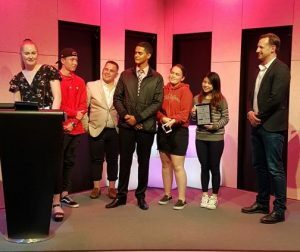 On Monday the 29th of October, two year 13 Business Studies groups represented Pakuranga College at the annual Young Enterprise Awards held at the B:Hive, Smales Farm in Takapuna. 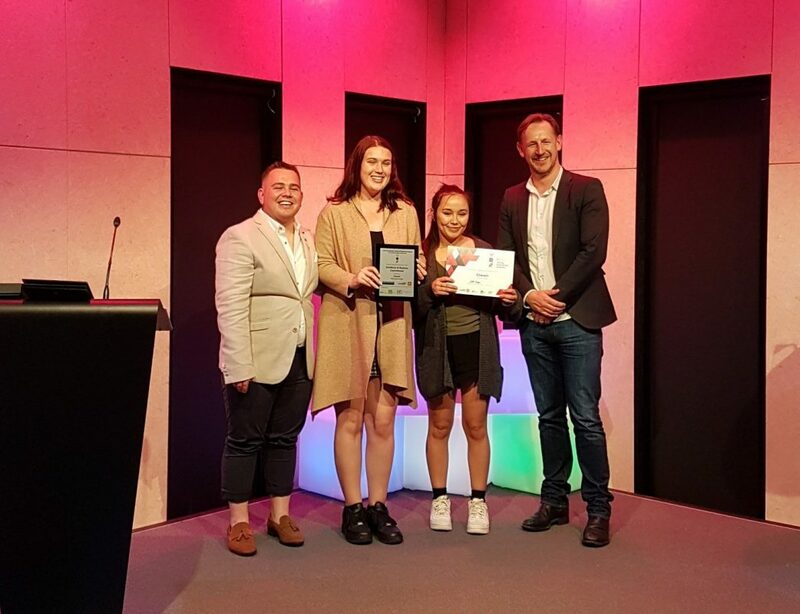 This ceremony recognised outstanding achievement in Business Studies across competing schools from the East Auckland region. Having nearly 4000 students enrolled in the competition nation-wide demonstrates the scale and reach that this program has achieved. Given this ever-challenging landscape, Life Schooled & Chew-it have performed exceptionally well to attain their respective certificates for their efforts this year. Life Schooled produced a manual that educates students on essential life skills such as applying for student loans through to changing a tyre. They were one of nine teams who presented on the evening to three ‘Dragons’ for a virtual $50,000 investment. Unfortunately the group did not place within the ‘Dragon’s Den’ competition but were recognised for their efforts through winning the “Excellence in Creative Thinking” award for the East Auckland Region. Chew-it, on the other hand, were invited to the event off the back of their nomination for an award also. However, they weren’t involved in the ‘Business Pitch’ element of the evening. Chew-it were awarded with “Excellence in Business Commitment” which is given to a team who showcase determination in the completion of the Business idea despite having obstacles along the way, such as losing team members and extensive R&D costs through the trial and error incurred in the making of their Vitamin C infused gummy bears. The Young Enterprise Program continues to produce sound results at the College and with a large intake of students for Level 3 Business Studies in 2019, expectations are high to continue this trend and hopefully take out the national title again in the not too distant future.